Since ancient times, the Mediterranean has always been an interesting location, both for trade and as a place for pleasure and relaxation of the elite at that time. 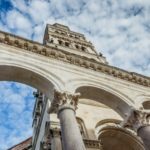 It is well-known that the Roman Emperor Diocletian spent his retirement days in Split and built his palace there, today a well-known tourist attraction Diocletian’s palace. Not only Split but also other Dalmatian cities offer everything to see and experience. From national parks, beautiful beaches, good restaurants, cultural sights and even more frequent music festivals that attract more and more people to visit Croatia. Croatia, a small country located in the heart of the Mediterranean, a country with more than a thousand islands is becoming more interesting destination, especially to the residents of Eastern and Western Europe. A pleasant climate, food of good quality, natural beauty and proximity to European metropolises make Croatia an increasingly interesting destination. Many have already recognized it and realized their dream – to have their real estate in Dalmatia. The most frequent investments of our customers were exactly in buying a home in the first row to the sea. The offer of such real estates is getting smaller because of great demand, both for personal needs and for the purpose of renting to the tourists. If they are located in privacy-providing locations, most often on the islands, they find their buyer very quickly. There is a growing interest in buying houses on the hills with an open sea view. Such real estates often allow larger yard, which again provides the requested privacy and additional facilities on the parcel. Lovers of urban life and good entertainment are not cut back because buying a real estate in the center of the Dalmatian cities will provide all the necessary, and even beaches can usually be reached on foot. 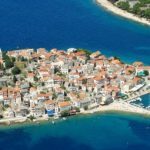 Tourism in Croatia shows better results every year, the number of overnight stays is still increasing, which increased the number of newly opened hotels as well. This has been recognized by the world’s leading hotel chains, which are present each year more and more in our market. 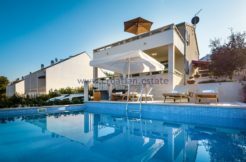 From stone houses by the sea, beautiful villas by the sea, houses on the hills overlooking the sea and the properties with the possibility of breeding your own food -P you can have it all in Croatia, and if you need help, feel free to contact us. Historical real estates in Croatia What is important to know when buying a building plot?